When is an oat more than an oat? 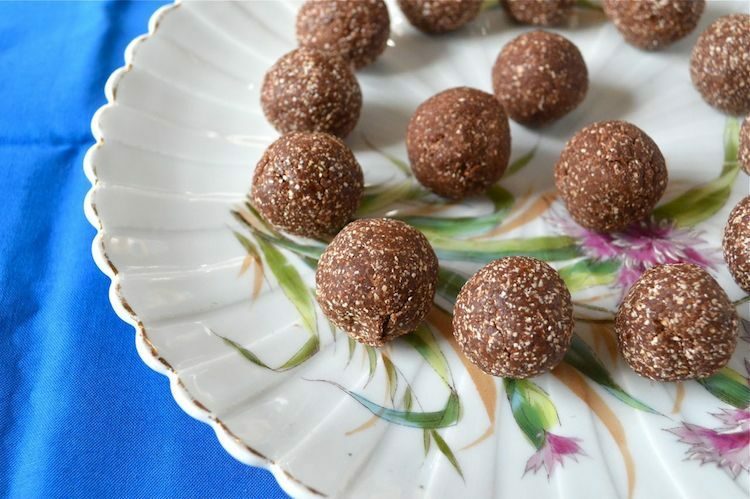 When it’s an oat that’s been transformed into a scrummy organic chocolate truffle of course! Oats are not only healthy but are highly versatile and can be used for all sorts of purposes besides porridge. I’m a big fan of the humble oat, so I was delighted when White’s invited me to the Cotswolds to gen up on this sometimes underrated grain and tour the fields with a bunch of experts. When I first heard of pulled jackfruit as a vegetarian and vegan alternative to pulled pork, I have to say I was sceptical. By now, I should really know better! When enough vegan bloggers tell you it’s delicious, I should listen. And finally I did. Energy balls are all the rage now. Look in any self-respecting modern “healthy” cookbook and you’ll find at least one recipe for them. There’s a good reason for this. They are easy to make and utterly delicious. 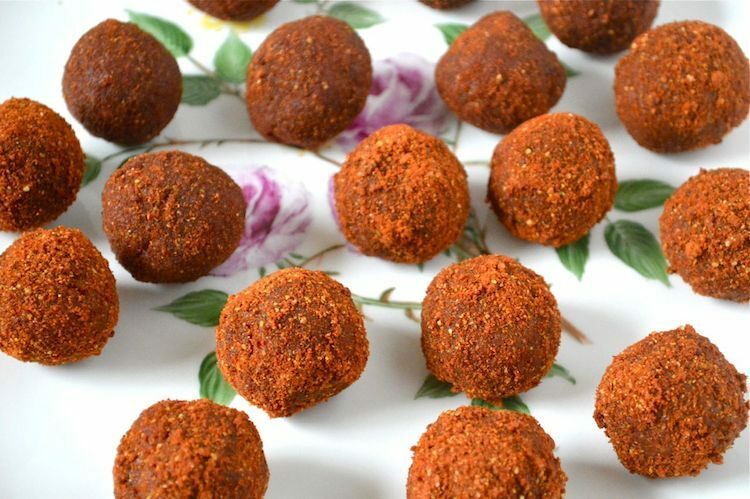 I’ve made quite a few over the last few years and these goji berry bliss balls are the latest. Before ever I made vegan salted caramel sauce, I made this salted caramel chocolate milkshake. It’s delicious and completely satisfies any sweet cravings I have. 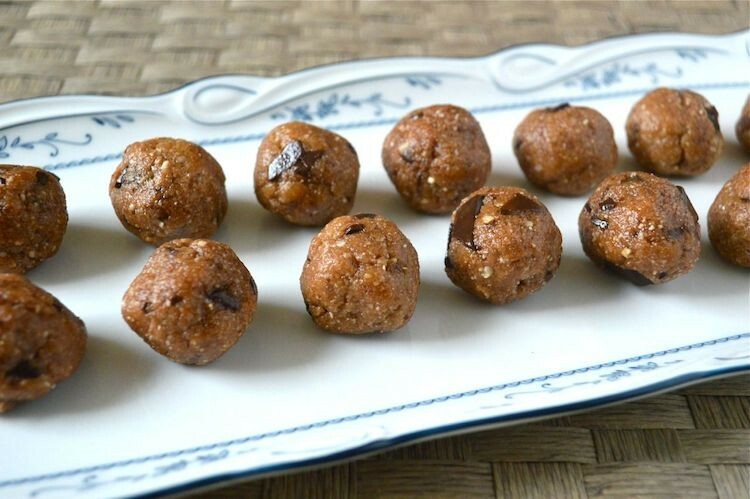 Yet it’s made with raw ingredients, is refined sugar-free and is loaded with various superfoods. It puts a real spring in my step along with a self-satisfied milky smirk. Last week, I made some smoked salted caramel sauce. It was just amazing and I will be bringing you the recipe sometime soon. Sugar and cream, however, are not the healthiest of ingredients, so when I was sent some maca powder recently, I thought I’d try a healthier alternative. 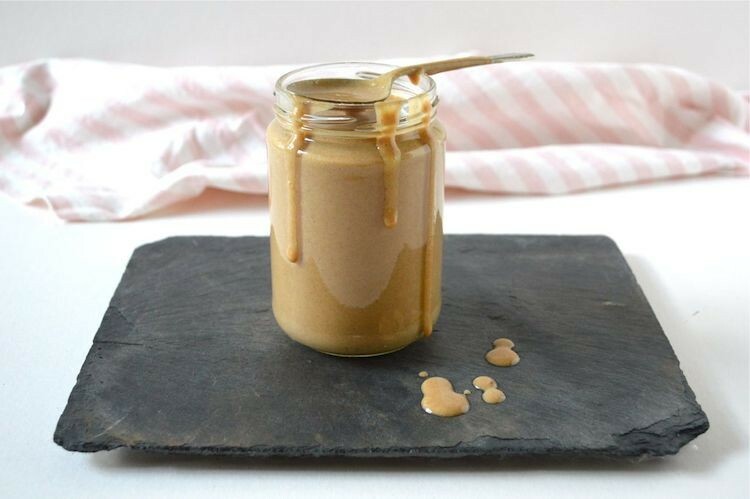 This vegan salted caramel sauce is both dairy-free and sugar-free and it’s positively good for you. Now who doesn’t love nibbling on a bit of raw cookie dough? It’s an experience that evokes happy childhood memories. Well you’re in luck. The chilli chocolate chip cookie dough I’ve made here is not for baking, no, it’s for pure indulgent eating in its raw state. And not only that, it’s also egg and dairy free, made with healthy ingredients. flavoured with chilli and cinnamon and above all else, delicious. Happy Mother’s Day to everyone. I’ll be heading off to visit my mother shortly. I was going to take her out to lunch, but turns out she hadn’t realised the significance of the day and has invited friends over. So I decided to make her an ultra healthy, dairy-free, grain-free and refined sugar-free vegan cake instead. Why? Because I felt like it and thought it would make a nice change. So this chocolate coconut cannellini cake is what she’s getting. I defy anyone not to find chocolate puddings irresistible. 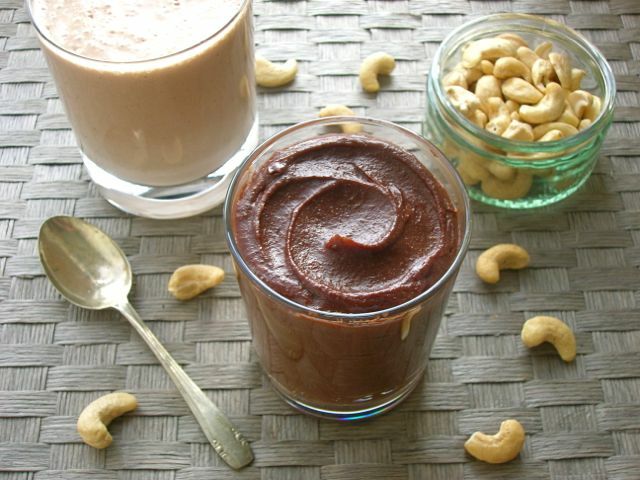 Well how about a chocolate chia pudding that tastes indulgent, but has no dairy or eggs and is pretty much guilt free? Indeed, it has many positive nutritional benefits. 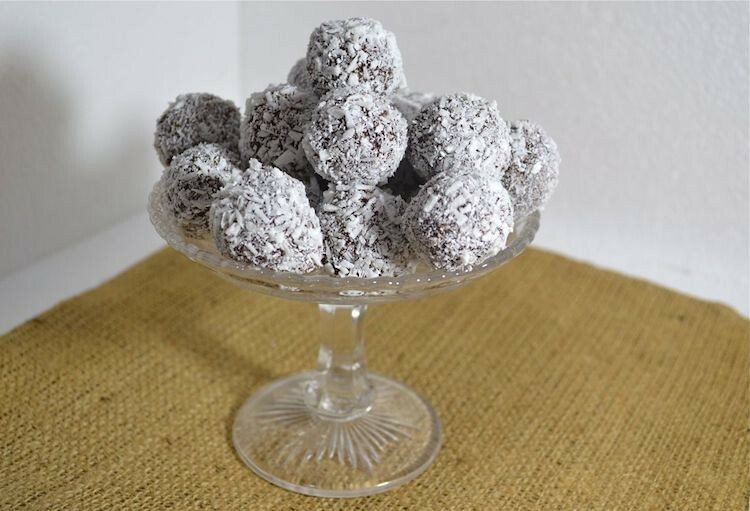 These sumptuous raw chocolate truffles do not have the name bliss balls for nothing. Try one of these and you’ll wonder why you’ve ever bothered with conventional truffles. Well maybe I exaggerate a little, but only just. As some of you may have gathered by now, I’m in thrall to my Froothie high speed blender. It gets used virtually every day and makes a wonderful job of finely blending the most unlikely of ingredients and making them silky smooth. Have a look at my nettle smoothie if you don’t believe me.